Canadian developer Digital Extremes is certainly making true on their promise to provide a lot of updates to Warframe, the free-to-play action MMO. New player hubs, new warframes to use, new events, and new game modes have all been released for all platforms since January this year. Now, the console versions of the game receive the one update that the game definitely needed: an update to the game's parkour system. Titled "Echoes of the Sentient," the biggest part of this update is the revisions made to the game's movement/parkour system. The existing system that allowed players to run along (or up) walls and otherwise traverse the environment was functional but rather clunky. The new system is supposed to control a little better and gives players access to some new moves, like clinging to walls and having a kind of "aim glide," where your descent from a jump is slowed if you're aiming. 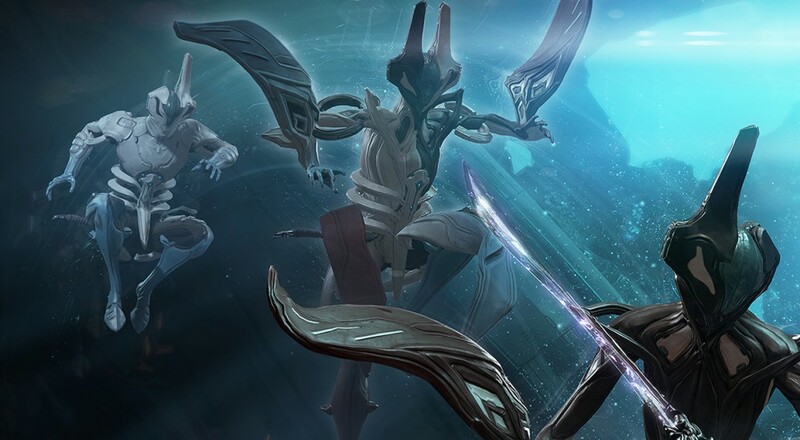 In addition to his overhaul, a new warframe - Equinox - has been added, as well as a new quest, new archwing levels that take place underwater, new gear, and a new boss. The full notes of what's been added can be found here. Page created in 0.2341 seconds.